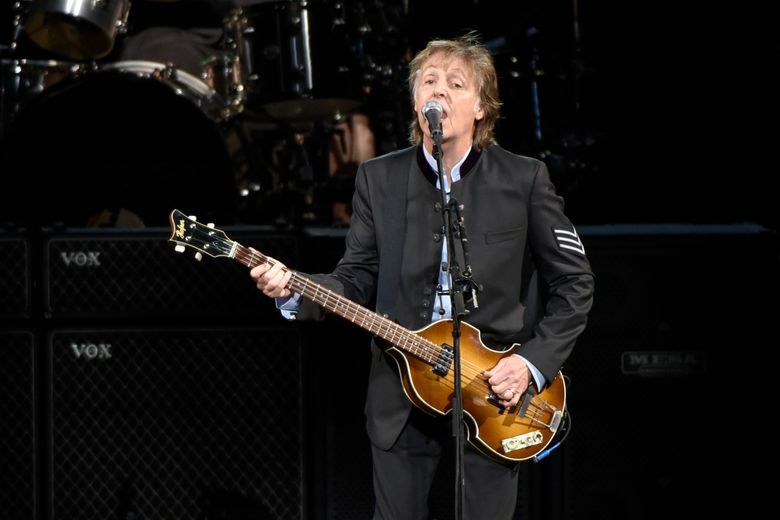 NEW YORK (AP) — Commuters with tickets to ride out of New York’s Grand Central Station heard a special serenade on Friday evening, with Paul McCartney taking over a corner of the majestic hub for a concert. It was a stunt to promote a new album called “Egypt Station.” McCartney said he wondered “what’s the coolest station we could think of?” and settled on the Manhattan landmark. The band set up under a chandelier and in front of a giant clock, just off the 42nd Street entrance. “I rang him up and asked, ‘am I on this song? '” McCartney said, and West said it included his guitar. At Grand Central, McCartney reclaimed it.